Latest rumors claim that current gen Pascal GPUs have already been discontinued and the GTX 2000 family is not powered by Volta chips, but by Ampere ones. It seems Nvidia wants to create serious suspense around the launch of its next gen gaming GPUs. There were some rumors that the company could reveal the upcoming GPUs at CES 2018, but, unfortunately, fans were not graced with any new info, not even a teaser. 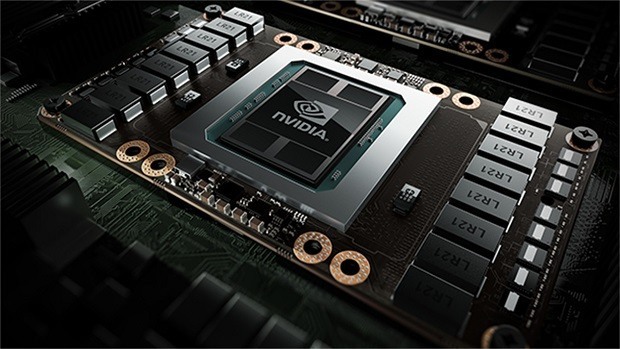 Nvidia launched the Volta architecture for deep learning and AI applications in late 2017, and most analysts were lead to believe that the GTX 2000 family would turn out to be based on modified Volta chips. The latest 3DCenter rumors, however, indicate that the GTX 2000 GPUs will include the Ampere GA104 chips, but then again it is not clear if these are derived from the Volta architecture or they are just Pascal (GP102) refreshes. Apart from the Ampere rumor, some posts on the 3DCenter boards claim that Nvidia has already discontinued the production of GP102 chips, which had been transitioning into the End of Life state since November 2017. The GTX 1000 series is in low supplies as is, since cryptominers tend to deplete every little restock occurring at major online retailers, and the EoL transition could create even more problems for buyers hoping to find Pascal-powered cards in the next few months. On the other hand, if all rumors turn out to be true, gamers would only need to wait until April, when Nvidia is said to launch the GTX 2000 family. Judging by the code-names, Ampere seems to be more related to Volta rather than Pascal, so the Ampere chips could be modified Volta GPUs that can better handle gaming loads. Of course, there is no guarantee that cryptominers will not jump on the GTX 2000 cards as soon as they become available, as Volta’s specs show dramatic improvements for memory workloads, an aspect that would considerably boost mining efficiency. Nvidia could be forced to take severe limiting measures if this turns out to perpetuate the problems gamers are facing now with the low Pascal-powered cards. Nvidia is also rumored to be announcing the next gen GPU roster in late March, either at the GDC or GTC events. Once again, since all these are unconfirmed rumors, it is advisable we all take the information with a pinch of salt.